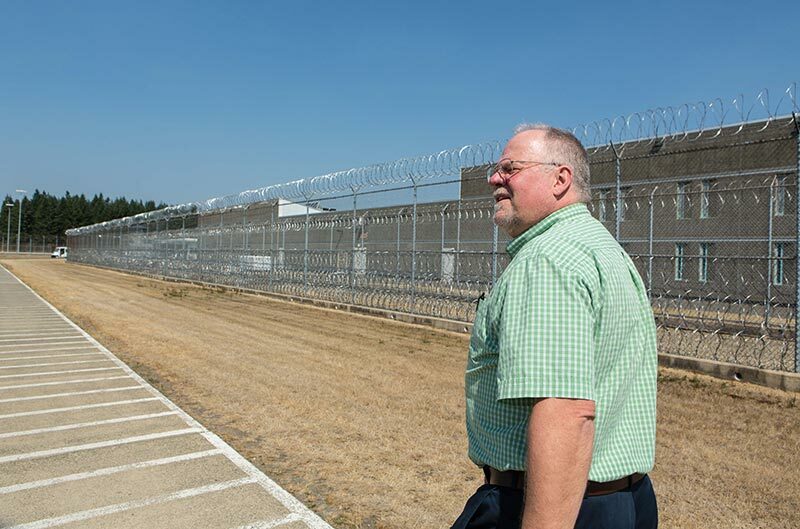 Every week, about 150 inmates file off buses at the Washington Corrections Center in Shelton. Newly convicted, the men begin the process of transferring to the resident facilities where they will serve their sentences. Before they disperse across the state, though, they must pay a visit to the infirmary. With care and compassion, Eric Larsen ’09 and his team address the inmates’ health care needs: building medical charts, sorting out prescriptions, checking for communicable diseases, and much more. That work is in addition to monitoring the health of the resident population, roughly 600 inmates who live at the Shelton facility. “All of that keeps us pretty busy,” Larsen said. 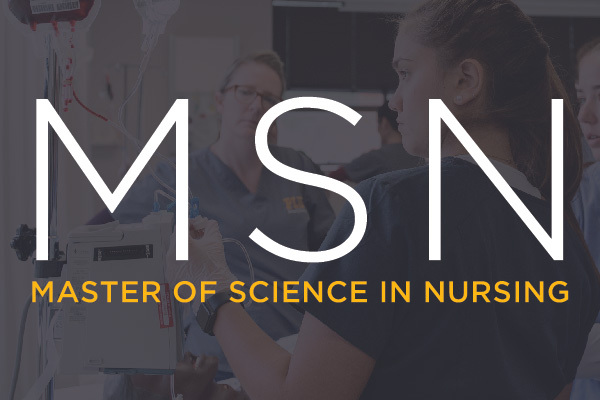 Learn more about the entry-level MSN, as well as the other entry points to the master's-level curriculum. In addition, learn about PLU's Doctor of Nursing Practice, the newest graduate nursing program offered. Busy is an understatement. 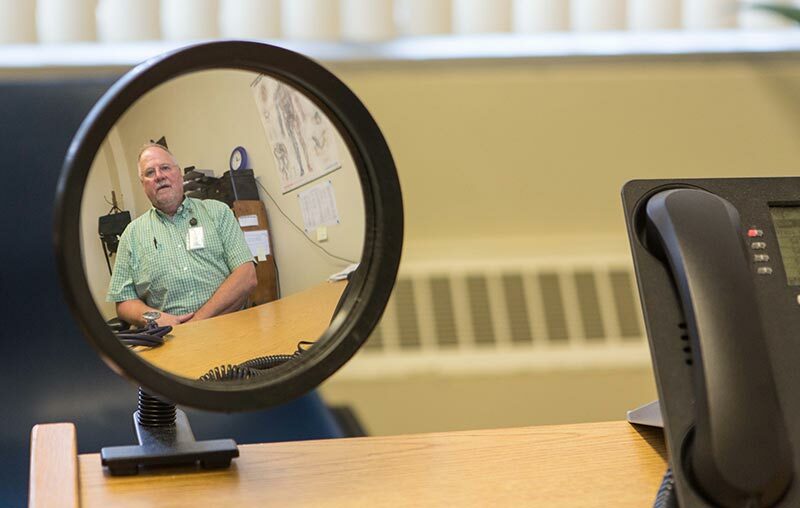 Inmate populations often run the gamut of health care needs: men ages 18 and beyond — some who have never seen a doctor in their lives, Larsen said — who require everything from treatment for chronic conditions and medical emergencies, to inpatient services and psychiatric care. “We see things there that you wouldn’t normally see in the community very often,” Larsen said. Adequate medical care for inmates is a constitutional right. But for Larsen, it’s more than that. And that feeling was precisely what Larsen was after when he made a midlife career change more than a decade ago. Larsen, who studied evolution and avian ecology at The Evergreen State College, worked as a biologist for the state Department of Fish and Wildlife. As he rose through the ranks, his tasks became more and more sequestered. While he hesitates to say he hit the cliché midlife crisis, “I was at midlife and it was a crisis,” he said, chuckling. After a lot of research and exhausting career development resources, all signs pointed Larsen to nursing. So, he quit his Fish and Wildlife job in 2006, attended a local community college to complete the necessary prerequisites and applied to the entry-level master’s program through PLU’s School of Nursing. Carol Seavor, interim dean for the School of Nursing, said Larsen’s story isn’t necessarily unique. In fact, it’s a welcome byproduct of the entry-level MSN program. Like Larsen, Seavor said, many PLU nursing students — entry-level master’s and otherwise — are drawn to the field because of an overwhelming urge to serve. And that goal — improving inmates’ health, no matter how big or small the improvement is — makes the long days and rigid environment inside the prison walls worth it, Larsen said. While it isn’t necessarily the most popular preceptorship — a supervised clinical experience where nursing students gain hands-on experience in the field — Larsen says the Shelton facility offers a valuable learning environment for aspiring nurses. He’s hosted half a dozen students over the past 10 years, mostly nursing students from PLU. 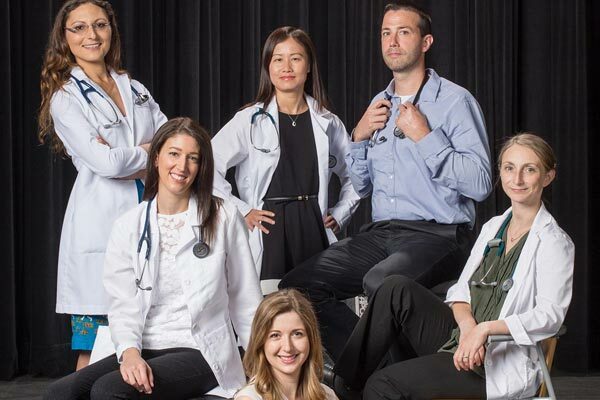 With that variety of care, a student leaves equipped with the confidence that they can do just about anything in primary care, he added. “What I work on a lot is confidence building and getting people to the point where they trust that they are making good decisions,” Larsen said. And, he says, that isn’t a tough job with the PLU nurses he works with. 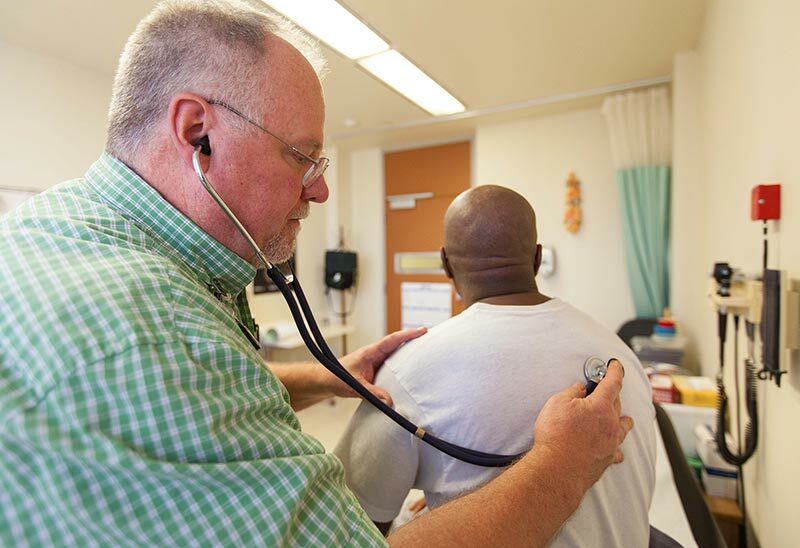 PLU’s first doctoral program trains nurse practitioners for lives of leadership. The nurses in training bring that passion to partner providers in surrounding communities, where they often help underserved patients in areas facing health care shortages. Tracy Pitt — associate director of advising, admission and student support in the School of Nursing — said that by the end of the 27-month program, each individual has completed more than 1,000 clinical hours. Seavor said the community-based experience graduate students gain increases their confidence and makes for a smoother transition from theory to practice after graduation. Seavor says the entry-level master’s program is intense: within 15 months students complete the equivalent of a rigorous undergraduate nursing education, and are eligible to sit for the national licensure exam; then, for the second half of the program, the registered nurses begin their graduate-level studies. It’s not lost on Larsen how far he’s come since his 46-year-old self decided to embrace the intensity. Working in a prison means sacrificing personal freedoms just to show up to work every day, and a rigid system that complicates access to patients in need of care. It’s a new kind of intensity that can bring a lot of angst, Larsen acknowledges.